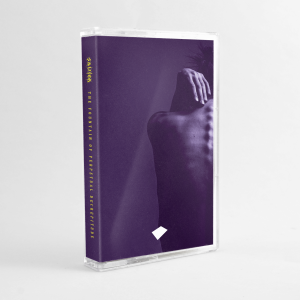 As Mantis Radio enters into its ninth year, DVNT takes a listen back to the last 12 months and runs down our 3 most popular sessions. Around this time of year it’s our annual tradition to take stock of the last 12 months of broadcast with an anniversary special. DVNT plays a small selection of tracks from the 418 dropped over the year (so many dope tracks were left off out of tonight’s show) with 20 minute segments from each of our 3 most popular sessions. 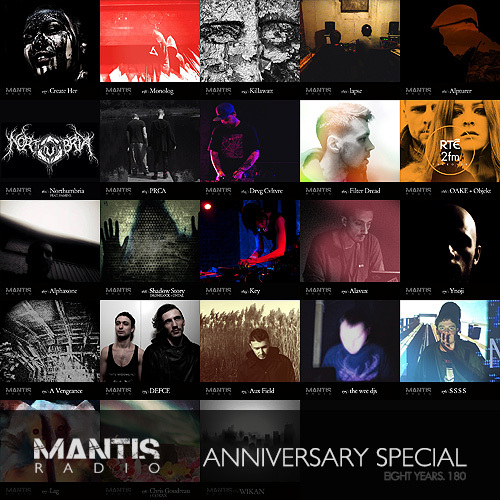 Year 8 of Mantis Radio saw sessions from Create Her, Monolog, Killawatt, lapse, Alpturer, Northumbria, PRCA, Drvg Cvltvre, Filter Dread, OAKE, Alphaxone, Shadow Story, Key, Alavux, Ynoji, A Vengeance, DEFCE, Aux Field, the wee djs, S S S S, Lag, Chris Goudreau + Corax, and WIKAN. Who was your favourite guest? What were your favourite tracks? Let us know. Get in touch on Twitter, Facebook or email. To all our many listeners, guests and featured artists, a HUGE thank you. You guys make this show what it is. Mantis Radio is back, May 26th with fzv.